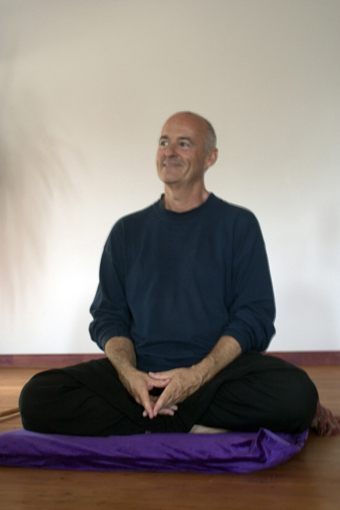 Daniel Odier is one of the initiates who teaches in the Tantric tradition from which the Bhairava Tantra comes. Amazon.fr link to his books in French. Some of his books are also available in English. 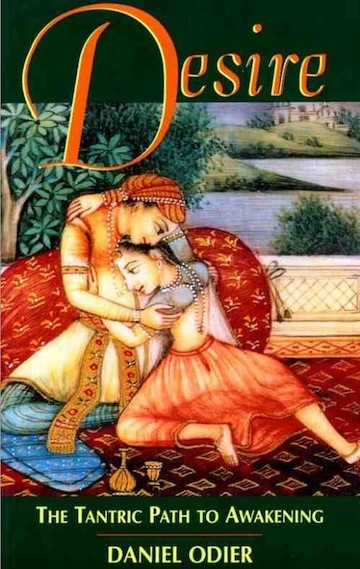 Daniel has posted his translation of the Vijñânabhairava Tantra online. Jeanric Meller translated Daniel’s French into English. Bhairava and Bhairavî, lovingly united in the same knowledge, left the undifferentiated state so their dialog may enlighten all beings. O God, who manifests the universe and makes light of this manifestation, you are none else than my Self. I have received the teachings of the Trika which is the quintessence of all the scriptures. However, I still have some doubts. 2-4. O God, from the standpoint of absolute reality, what is the essential nature of Bhairava? Does it reside in the energy of the phonemes? In the realization of Bhairava’s essential nature? In a particular mantra? In the three Shakti? In the presence of the mantra which lives in every word? In the power of the mantra present in each particle of the universe? Does it reside in the chakras? In the sound Ha? Or is it only the Shakti? 5-6. That which is composed, is it born out of both immanent and transcendent energy, or only out of immanent energy? If it were the product of transcendent energy only, then transcendence itself would have no object. Transcendence cannot be differentiated in sounds and particles for its undivided nature cannot be expressed in the many. 7-10. O Lord, may your grace do away with my doubts! Excellent! Your questions, O Beloved, are the essence of the Tantras. I will reveal to you a secret teaching. All that is perceived as a composed form of the sphere of Bhairava must be considered as phantasmagoria, magical illusion, a ghost city hanging in the sky. Such a description only aims to drive those who fall prey to illusion and mundane activity towards contemplation. Such teachings are meant for those who are interested in rituals and external practices and stuck in duality. 11-13. From an absolute standpoint, Bhairava is not associated with letters, nor with phonemes, nor with the three Shakti, nor with breaking through the chakras, nor with any other belief, and Shakti does not constitute his essence. All these concepts taught in the scriptures are aimed at those whose mind is still too immature to grasp the supreme reality. They are mere appetizers meant to spur aspirants toward ethical behavior and spiritual practice so that they can realize some day that the ultimate nature of Bhairava is not separate from their own Self. 14-17. Mystical ecstasy isn’t subject to dualistic thought, it is completely free from any notion of location, space or time. This truth can only be touched by experience. It can only be reached by those entirely freed from duality and ego, and firmly, fully established in the consciousness of the Self. This state of Bhairava is filled with the pure bliss of unity between tantrika and the universe. Only this state is the Shakti. In the reality of one’s own nature thus recognized, containing the entire universe, one reaches the highest sphere. Who then could be worshipped? Who then could be fulfilled by this worship? Only this condition recognized as supreme is the great Goddess. 18-19. Since there is no difference between the Shakti and the one who embodies her, nor between substance and object, the Shakti is identical to the Self. The energy of the flames is nothing but the fire. All distinction is but a prelude to the path of true knowledge. 20-21. The one who reaches the Shakti grasps the non-distinction between Shiva and Shakti and enters the door to the divine. As space is recognized when illuminated by sun rays, so Shiva is recognized through the energy of Shakti, which is the essence of the Self. 22-23. O supreme God! You who bear a trident and a garland of skulls, how to reach the absolute plenitude of the Shakti which transcends all notions, all descriptions and abolishes time and space? How to realize this non-separation from the universe? In what sense is it said that the supreme Shakti is the secret door to the state of Bhairava? Can you answer in common language these absolute questions? 24. The supreme Shakti reveals herself when inbreath and outbreath are born and die at the two extreme points, top and bottom. Thus, between two breaths, experience infinite space. 25. Between inbreath and outbreath, between stopping and going, when breath stands still at the two extreme points, inner heart and outer heart, two empty spaces will be revealed to you: Bhairava and Bhairavî. 26. With a relaxed body when exhaling and inhaling, lose your mind and perceive your heart, the energy center where the absolute essence of Bhairava flows. 27. When you have breathed in or out completely, when the breath movement stops on its own, in this universal lull, the thought of "me" disappears and the Shakti reveals herself. 28. Consider the Shakti as bright, subtler and subtler light, carried upwards through the lotus stem, from center to center, by the energy of the breath. When it subsides in the upper center, it is Bhairava's awakening. 29. The heart opens up and, from center to center, Kundalini rushes up like lightening. Then Bhairava's glory is manifested. 30. Meditate on the twelve energy centers, the twelve related letters and free yourself from materiality to reach the supreme subtlety of Shiva. 31. Focus your attention between your eyebrows, keep your mind free from any dualistic thought, let your form be filled with breath essence up to the top of your head and there, soak in radiant spatiality. 32. Imagine the five colored circles of a peacock feather to be your five senses disseminated in unlimited space and reside in the spatiality of your own heart. Link to Daniel Odier’s pages in English. Link to Yoga Spandakarika By Daniel Odier.